World population is presently exploding. How many human beings were there before dogs became in wide use? In 35,000 BCE, it is estimated that Earth had three million human beings. Before the rise of cities, in 10,000 BCE, world population had reached 15 million. The rise of civilization was enabled by a technological explosion, the discovery, invention and intense use intense use of science, technology, writing, genetic engineering (dogs, cattle, goats, chicken, cats, wheat, rye, millet, rice, beans, potatoes, sweet potatoes, corn, etc. ), irrigation, fuel, etc. Civilizations rise when they find new technological tricks to dominate and exploit their environments, be it the human, and, or, natural, environments. Those tricks exhaust resources after a while, bringing stress, thus war (against people, and, or, nature). War activates the fascist instinct, bringing the rise of plutocracy (as observed nowadays), and complete cretinism (also known as theocracy). This makes the collapse worse. Civilization can be destroyed by fate. The most famous case is a civilization we owe so much to: Crete. It was devastated by one of the worst volcanic explosion in 25,000 years (as it tried to recover, it was hit by a “plague”, according to Greek historians). Crete is part of our cultural inheritance. 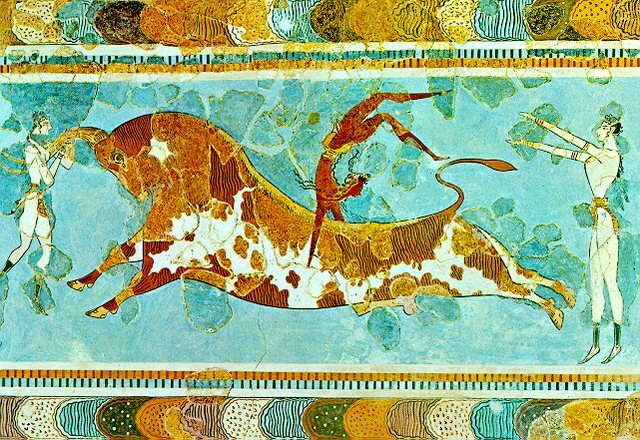 Today, the status of women depends upon the breakthrough ancient paintings (from the Knossos Palace, above), some 40 centuries old, depict. The status of women was high in Crete. Women could be in authority, for 2,000 years. Women were then to be subjugated in Greece, for 3,500 years (yes, time flies, these are big numbers: civilizational setbacks can last millennia). Europe is named after Crete, an acknowledgment. The goddess Europa was from Crete (and one of her sons was the famous king Minos, after whom Minoan Civilization is named). An example of self-imploding collapse is the Maya. The Maya were, for millennia, an extremely advanced civilization which seemed to be on its way to accomplish on its own something similar to the ascending superiority of Middle Earth (my term for the Mediterranean plus Egypt-Middle East-Arabia plus India area). However, a terrible century long drought starting in the Seventh Century struck the Maya who proved unable to manage the crisis, to which they added terrible wars (the worst involving a queen, in the leading role, not just the usual demonic males). All Maya cities were destroyed. When the Spaniards landed, eight centuries later, the Maya were just shadows of their former selves (yet, they proved to be tough customers). As Jared Diamond (2005, in his book “Collapse”) wrote, one can only be struck by “the disappearance of between 90 and 99% of the Maya population after A.D. 800 …and the disappearance of kings, Long Count calendars, and other complex political and cultural institutions.” Not just that, but much more importantly, the giant irrigation system of the Maya, with its dams and canals, was one of the world’s largest, ever: it can still be seen from space. When that centuries old irrigation system was left in disrepair, civilization became history. In the close-by very extensive highlands of central Mexico, many powerful states also rose to high levels of power and prosperity, only to rapidly collapse. Teotihuacan (the sixth largest city in the world in the Seventh Century) and Monte Alban among those to experience dramatic collapse, with populations decline of at least 20–25% from their peak within a couple of generations (Tainter, 1988). Civilization collapses come in many guises. Egypt cycled through more than two dozen dynasties, and a couple of century long occupations, tweaking itself every time. However, in the end it was unable to stay an independent, original civilization, undergoing thereafter 2,000 years of subjugation. The present civilization was born from a near-collapse. And was born thanks to a philosophical reset. Indeed, in the case of the Greco-Roman empire, full collapse was avoided. The Franks rebooted Greco-Roman civilization, with their own Germano-Christian sauce, by the early Fifth Century (defeat of Goths who were ejected from Gaul, 507 CE, thanks to the battle of Vouille’). This is completely clear, when one inspects known facts, battles, laws, and the Storia Francorum of bishop Gregory of Tours. Differently from the Maya, the Franks centered in, or around Paris, and the Romans in Constantinople, were able to adapt to the catastrophes of the Fourth (Christianization, Gothic invasion), Fifth (Germanic invasions of 406 CE; then, the Huns), Sixth (as related above), and Seventh Centuries (dramatic war with Persia, followed by the surprise attack of the god crazed Arabs). Both then defeated in the Eight Century those fanatics of war who had attacked like carnivorous locusts. The official “Renovatio Imperii”, the Renovation of Rome, was made formal when Carlus Magnus (Charlemagne) was endowed with the sole “Imperator Romanorum” (Imperator of the Romans) title in 800 CE, an imperial tradition which went on with say Otton II in 962 CE, and for more than a millennium (formally, Napoleon I, as leader of Francia was entitled, the Roman way, to grab back the title for himself). Greco-Roman civilization incorporated the Cretan, Egyptian-Sumerian, Phoenician civilizations (with more than a touch of Etruscan). Then other Middle Eastern elements were included (Mythra, Great Mother Cult, Judaism, etc.) Western civilization incorporated even more: the fierce love of freedom, and women, of the Germans, and the generalized tolerance and open mindedness of the Franks (by 600 CE all citizens were Franks, and, within a generation the slave trade was outlawed by the Imperium; that latter fact was a world’s first). Interestingly the Franco-Roman synthesis incorporated traits which Crete had, but that the Hellenes had lost (for example maximum sexual equality, in at least some respects: there were female Cretan matadors, playing with ferocious giant bulls). Conclusion? 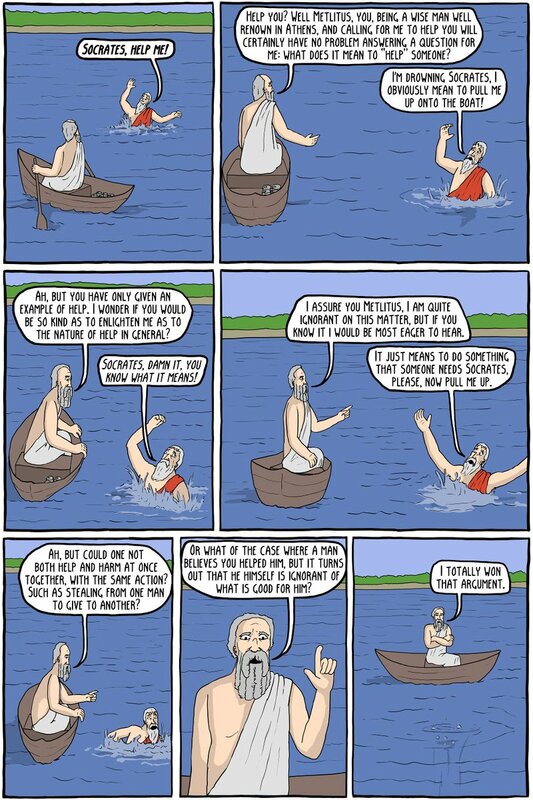 Even in an horrendous situation (the decline of the Roman empire, under fascism, theocracy, barbarity, invasions, ecological collapse, plague, unfathomable impact of a giant explosion somewhere), fresh new ideas, arising from shock philosophy can turn things around. The Franks demonstrated this thoroughly. The Chinese also did, on a more modest scale… Until Mao came, and unleashed the Dark Side onto fossilized Chinese thought, habits, and a philosophy, Confucianism, which had ruled for 26 centuries, as the symbol of ultimate wisdom (which it was not). The rule of warriors bound to common sense and religious tolerance (in complete contradiction with the Catholic terror, just prior). This was illustrated by Clovis’ quip that, had his Franks been there, Christ would never have been crucified. On the surface, it’s as if Clovis had understood nothing of Christianity. Indeed it looks as if Clovis had not understood that God wanted to be crucified, just to visit a guilt complex on his followers, same as with the story of the snake and the apple. Most probably, Clovis understood all too well< and made a show that he was firmly intend to violate God’s law. In any case, under the Franks, Judaism, Paganism, etc were freely practiced. 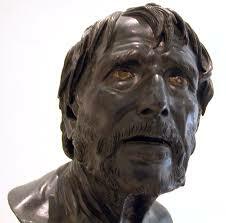 Christianism with a human, even Frankish face (to the Vatican’s rage). The outlawing of slavery (starting around 650 CE). Nationalization of the Catholic Church, constitution of the largest professional army since Republican Rome, to face the humongous Islamist invasions of 721-745 CE. Destruction of the army of the Arab Caliphate (which thus collapsed in 750 CE, crushing Bin Laden and other Islamists forever thereafter). All these reforms were of a philosophical nature: the Vatican discussed excommunicating Charles Martel, for expropriating the Church, but concluded it was safer not to debate with a Hammer. When the Franks formed, named, and made a bishop, within three weeks, from an illiterate Frankish warrior, they were sending a message to the Vatican about who was the boss: secularism, not superstition. Civilization survived from smarts, not just swords. Notice that Uber got lots of mileage from lying that they are an employer without employees. As technology and innovation advance, the law is left behind, and thus so are the punishments for violating it, or its spirit. We have seen a lot of that in the case of Greece. Lying has been supreme about how and thanks to whom, and most prominently, for whom, money is being created. Sometimes it feels as if we belong to an age where lying is the main industry. Engineering is good, lying, more profitable. “To compete, Greece needs a strong devaluation — a relative decline of its price level. Trying to lower prices and wages in absolute terms (for example, by slashing wages) would be very difficult, as it would bankrupt many debtors and tenants. The question of corrupt economic advice keeps coming back. Dreadful advice keeps on coming: first rescuing the private banks with state money, ruining the state, then austerity, ruining the economy. Now they want to make Greece worthless, because they say it will improve the economy. By forcing on it a devastating devaluation, do Germans want to buy Greece on the cheap? Often it looks like it. The Greeks own more worthy property than Germans do. This property is valued in Euros. Germans cannot buy enough of it. But they could, if the currency used by Greeks became worthless, which is what many German economists advocate. 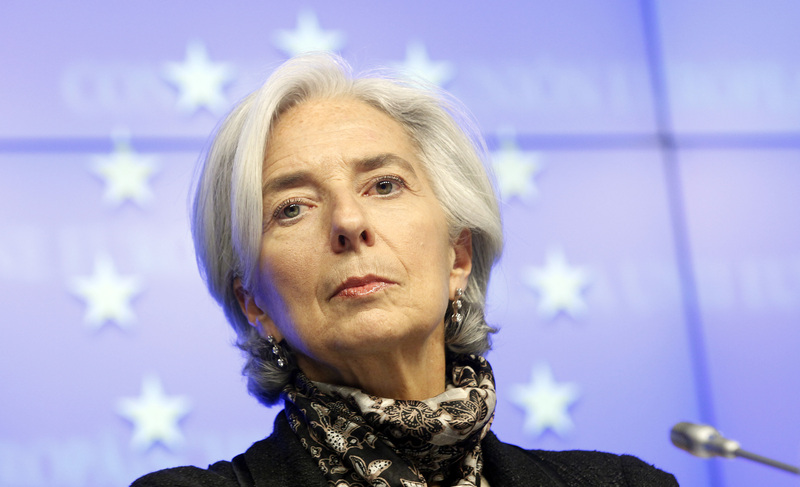 Those who want to make Greece worthless say: that would improve the Greek economy. However, the Greek economy depends upon tourism (which is roaring ahead), petroleum imports (which would become immensely expensive if Greece devalued), refined petroleum products (those contracts are in dollars, so would not profit from a devaluation) and shipping (all contracts are in dollars). Ridiculous ideas are rolled out. Take Finland: it’s in recession, with 10% unemployment, still Finland accuses Greece. But, truly, what Finland needs is the same as what Greece needs: easy money and tons of it. Same observation for the Netherlands. That same “leftist” solution, the one the USA implemented for itself. Hence why the nefarious advice? Because Europe has many enemies and many economists’ repute depends upon sinking the EU, while Wall Street profits from it. The advice has been to bleed the patient, until he gets better: that’s austerity. Now the advice is to bury the patient, until it revives, raising from his ashes. All what Greece needs is an anti-oligarchic revolution. Some in the EU will help achieve it. And that’s why precisely the hysteria has been so great about sabotaging the EU by kicking Greece out. The powers that be don’t want a successful anti-oligarchic revolution. As all European states are supposed to be in the European Monetary Union, and Greece does not want out, this is the violence one was talking about. Why Euro Wrecks. So Argue About It. In Greece, some of the upper class, including conservative officers high in the army, or investors who absolutely did not vote for the leftist Syriza, plan to follow Prime Minister Tsipras’ advice to vote NO to the referendum. In other words, the country is very divided. The case of the French Republic is special: France in more ways than one, is a mini USA. The French economy does everything, from extremely high tech and science to exporting agriculture. It is the most diversified economy in the world, with the USA. However, it has been suffering immensely from too high a currency. In comparison, Finland is a two tricks pony: timber and Nokia. Germany does well with high quality high tech exports, but one can expect China to catch up with luxury cars. “What all of these economies have in common, however, is that by joining the eurozone they put themselves into an economic straitjacket. Finland had a very severe economic crisis at the end of the 1980s — much worse, at the beginning, than what it’s going through now. But it was able to engineer a fairly quick recovery in large part by sharply devaluing its currency, making its exports more competitive. This time, unfortunately, it had no currency to devalue. And the same goes for Europe’s other trouble spots. Well, no. The Euro was not a mistake. The mistake was to put Goldman-Sachs and its ilk in command (see below). Competitive devaluations are a form of war. And the idea of an Union is no more war. The USA went to war for Union, and out of it came the “greenback”, the national currency of the USA (which was created for the war, and was part of the war effort). The dollar was created to make a more perfect union. Europe wants, and needs, a more perfect union. A characteristic of the Euro has been that, in spite of a terribly worsening economic situation, and desperately low interest rates, the Euro stayed very high, as if the situation was rosy. When the situation was bad in Germany, ten years ago, the Euro was at 86 cents on the Dollars. When several Euro countries hit unemployment of nearly 30% (as Spain did), the Euro was very strong, nearly 150 cents on the dollar. Who engineered that absurdity? The same Goldman Sachs specialists who (were paid to) hid part of the Greek debt The bankers lent inappropriately, and to whom did they lend? To their friends, their associates, the rich? 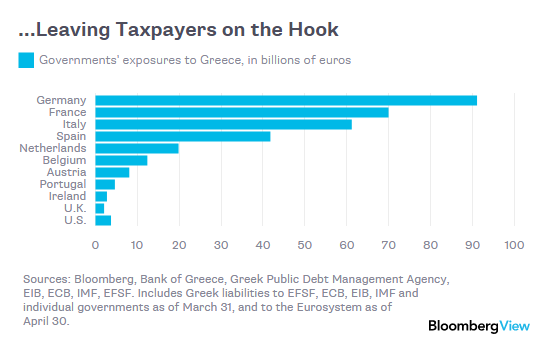 92% of the money borrowed by Greece since the crisis began went to banks. Why were the bankers not prosecuted? Differently from simple Greek retirees who saw their retirement collapse, they are culprit. The real question is, to whom did establishing this mess profit? The creditors? Are they trying to reduce everybody to misery? “One of the great risks if the Greek public votes yes — that is, votes to accept the demands of the creditors, and hence repudiates the Greek government’s position and probably brings the government down — is that it will empower and encourage the architects of European failure. The creditors will have demonstrated their strength, their ability to humiliate anyone who challenges demands for austerity without end. And they will continue to claim that imposing mass unemployment is the only responsible course of action. Well, it’s not that simple. In 2008, everybody was supposed to freak out because ONE BANK of the USA went bankrupt. Now we have an entire country going bankrupt. A country with twice the population of Norway, or that of the average state of the USA. 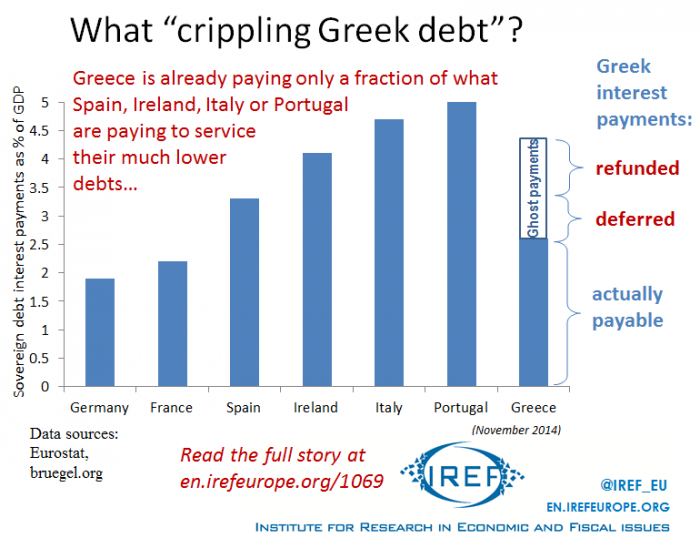 If Greece is allowed to go fully bankrupt (no, I am not contradicting myself: in the case of the IMF, there is a three month grace, or limbo, period), we will know that European countries are allowed to go bankrupt. And why? There are many reason, but one is particularly salient: Goldman Sachs, an American bank, and high finance conspiracy outfit, deliberately engineered a misrepresentation of Greek finance. Why are these conspirators not punished? If countries are allowed to go bankrupt, why don’t they all go bankrupt? After all, that’s the idea of devaluation Krugman likes so much. The referendum is a good idea, allows Europeans to accuse those who torture Europe. Already the IMF is backing off, and just announced that, after all, some of the Greek debt ought to be reduced (PM Tsipras immediately asked for a 30% debt reduction). The referendum is good, because it allows Europeans to argue about which Europe they want. Do they want a Europe where Goldman-Sachs is free to conspire, or one where We The People rule? Let’s have referenda and arguments all over. That’s how baboons vote (they vote with their feet). If baboons can do it, Europeans ought to be enable to emulate them. Fundamentally, plutocrats want the monopoly of money and power, which defines them. In Europe, they have made sure to starve all what We The People want or need, and they did this by restricting how many Euros, how much currency, circulates. By the way, it’s also how the Roman economy collapsed. By 300 CE, Rome did not have enough money, and so established a control and command economy (what the USSR became famous for). Now the corrupt clowns who lead Europe are afraid that We The People, all over Europe, is going to start fighting against the creditors. An obvious case is “Podemos” in Spain, a party similar to Syriza. All over, We The People has to ask: how come so much borrowing was made in our name, to reimburse banksters? The danger of an extremely violent insurrection against the established order is increasing by the day. After all, president Teddy Roosevelt took drastic measures against monopolistic capitalism. What had happened before? Well, Teddy’s predecessor, Mac Kinley, had been assassinated (1901 CE). So had been French president Sadi Carnot (1894). These assassinations were part of a general assassination campaign against political leaders of anarchist ideology. Islamist ideology may well play a similar role. Already many blond blue eyed Europeans are converting to Islam, and joining Jihad. Rage against the system is why they do. The enemies of my enemies may not be my friends, but, when violence has gone too far, only more violence can stop it.